Clint Bowyer Wins the Darrell Gwynn Foundations "Hot Rods & Reels"
Clint Bowyer wins the Darrell Gwynn Foundations " Hot Rods & Reels" Charity Fishing Tournament at Homestead-Miami Speedway. 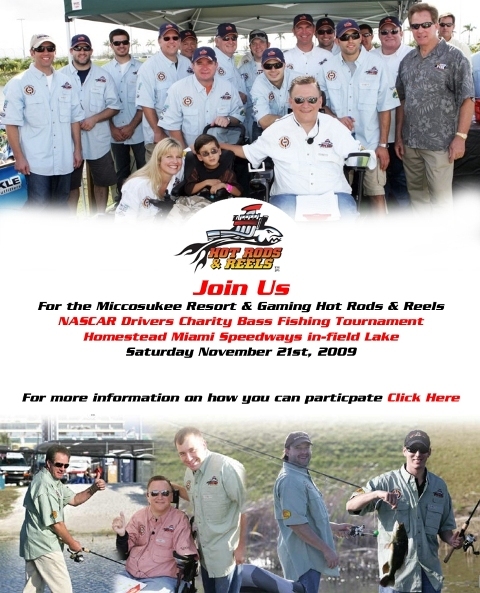 We just finished our 8th year of the Hot Rods & Reels Charity fishing tournament in Miami/Homestead Speedway. The Darrell Gwynn Foundation and Outdoor Channel are teaming up to deliver a one-hour charity special for TV.